Chase Freedom, Discover It, and Citi Dividend offer 5% cash back on different categories throughout the year without an annual fee. Those are very generous offers from cards that do not have an annual fee, but they don’t come without there limits. 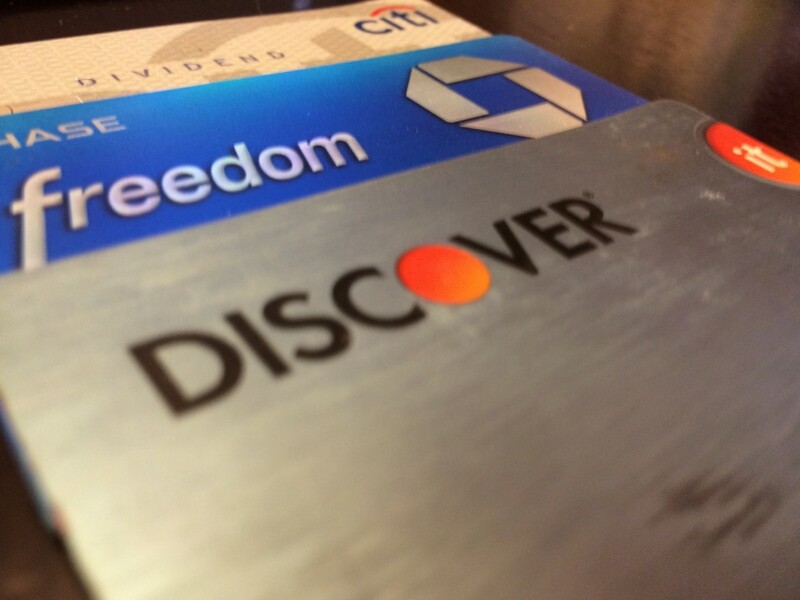 Discover and Chase are limited to 5% cash back on $1,500 per quarter and Citi is limited to 5% cash back on $6,000 per year. So if you maxed out each 5% bonus every quarter/year, you would have $900 in cash back. 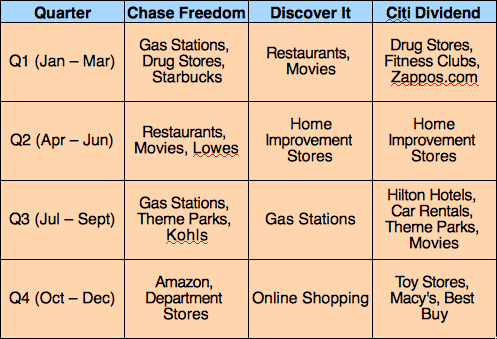 I am going to show you how to do that with different manufactured spending methods. Some of the categories like Amazon, online shopping, gas stations, and restaurants are almost guaranteed to be used and possibly maxed out. However categories such as Best Buy, and drug stores are not as likely to be used or maxed out, which is why I am going to show you how you can use manufactured spending techniques to make the most out of these cards. Gas Stations: Most gas stations sell gift cards, however they are not always purchasable with a credit card, so this may require a bit of research to find a gas station that does. I have had luck buying OneVanilla $500 gift cards at Speedway and Marathon gas stations. Once you have the gift card, you can go to Walmart, Meijer or any other grocery store to buy a money order with the gift card. Don’t forget to set up a PIN! Drug Stores: If you have a Bluebird account, this will be a very easy way to max out your Citi card for the year. Simply buy Vanilla Reload Cards to load your Bluebird account. You can only load $5,000 a month to Bluebird, but you have three months to buy $6,000 worth of VRCs on your Citi Dividend. You will end up making $252.60 after the VRC fees if you buy $6,000 worth of VRCs during the first quarter of the year. Department Stores: Department Stores are just like gas stations, since they all have gift card racks, you just need to find one that allows you to buy them with a credit card. Online Shopping: This is my favorite category, since it is right during the holidays and it is very easy to double dip when you use a portal. To max this category out, simply go online to a gift card merchant and buy Visa gift cards, which could then be used to buy money orders. You could also do all of your holiday shopping online using your Discover card. Best Buy: Best Buy sells prepaid Visa cards and they allow you to buy them with a credit card. Other Categories: For the other categories I would suggest trying to buy gift cards for the store or restaurant. If you have no use for gift cards, check Gift Card Granny to see if you could sell the gift card for a profit. These are some of the best no fee cash back rewards cards you can get. If you don’t have them already, I would suggest adding at least one, if not all of them to your wallet. They are great at counteracting the small $3.95/$4.95 fees you pay while manufactured spending. If you have any tricks to maximize your 5% card leave them in the comments.